The weather has cooled a bit, the leaves are changing or thinking of it, the county fairs are wrapping up and the state fair is just around the corner. I must make soup, I've missed it so! This is one of my best soup recipes. Earthy and creamy, thickened perfectly with oatmeal (of all things- try it! )...it's an easy and relaxing dish to whip up after work on a crisp day. 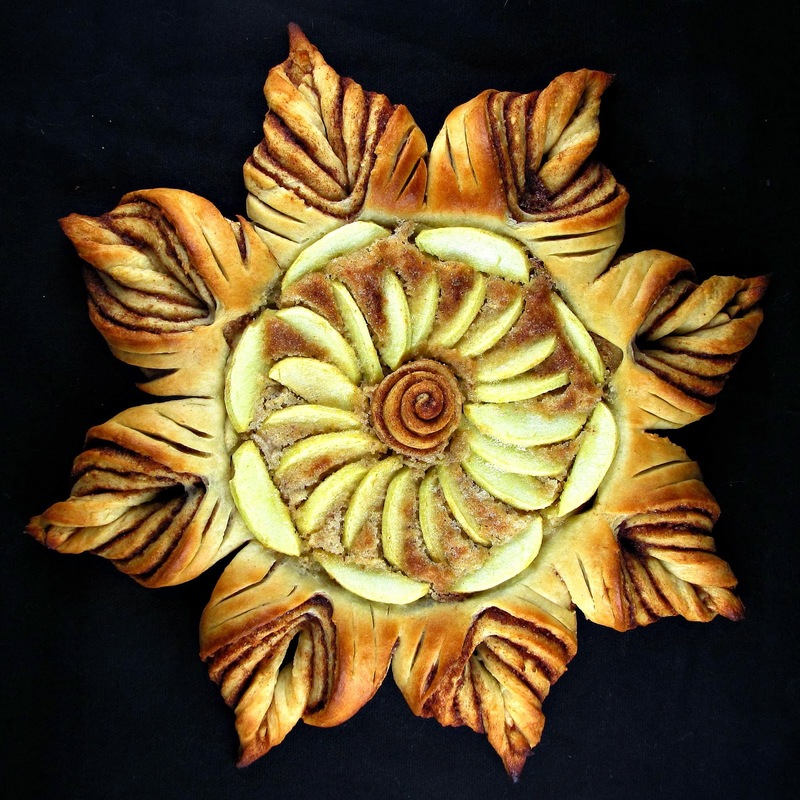 The ingredients in this recipe can be easily modified. 2 heaping cups of mushrooms; sliced, roughly chopped and diced small. I use cremini, oyster and enoki mushrooms. 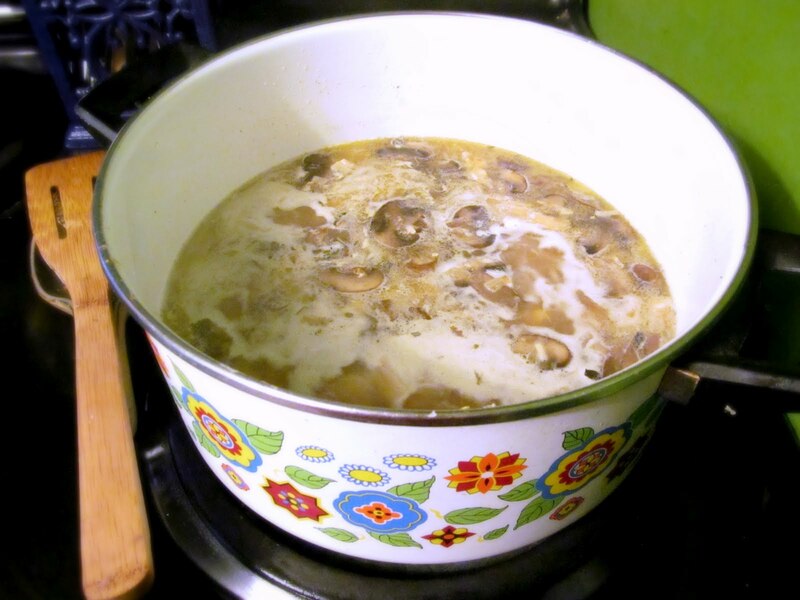 Using a wide-bottomed soup pot, cover the bottom of the pot with a thin coat of oil and add 2 tablespoons of butter. Over medium heat, lightly brown your rutabaga with a pinch of kosher salt, about 5 minutes. Add your onion and cook for about another 5 minutes, stirring often, until the onions are starting to color as well. Push the rutabaga and onion to the edges of pot and throw your largest pieces of mushroom into the center (not the small diced mushrooms yet). If there's no fat in the center of your pan, add a tablespoon of butter in with the mushrooms. Stir them around in the center for a minute, then let them brown on one side without stirring for several minutes. Add your small diced mushrooms and garlic. If using dried thyme, add a pinch (about 1/2 teaspoon) at this point. Add another pinch of kosher salt. Stir everything in the pot together and cook until the color is a dark golden brown and the rutabagas are still firm but tender. You should be able to see fat bubbling all around in the pan. If not, add a couple tablespoons of butter. Sprinkle the top of the veggies with flour to cover most of them with a light dusting (about 1/4 cup). Stir the flour in and cook for a couple minutes, stirring here and there. Add enough broth to cover everything by an inch or so, raise the heat and bring to a boil while stirring vigorously, scraping the bits off the bottom as you do. Reduce the heat to medium low and simmer for several minutes. Stir in oatmeal, chicken and if using fresh thyme, add about a small tablespoon of the leaves at this point. Simmer for 5 minutes. Remove from heat and add cream. Salt and pepper to taste. This soup is good with lots of pepper and grated sharp cheddar. And like most soups, it's better the next day. If you're making this for company, do it the day before and reheat over low with a splash of milk if it seems too thick. The soup keeps in the fridge and also the freezer. Yum, this sounds delicious and looks good too. Thank you Shannon! Hooray for mushrooms! Love rutabagas and the soup sounds wonderful! I'm eager to make it. vintage or current and where I might find one similar. Thank you. Thank you! The soup pot I use is vintage. One I found at an estate sale outside of my town here in Minnesota. I don't know if you have many thrift stores where you live - here we have Savers, Goodwill and Salvation Army - and I find similar items at Savers. But not the other two. I love vintage kitchen items!! I included your recipe in a round up of rutabaga recipes. I'll be pining, and tweeting it this week. Great recipe. 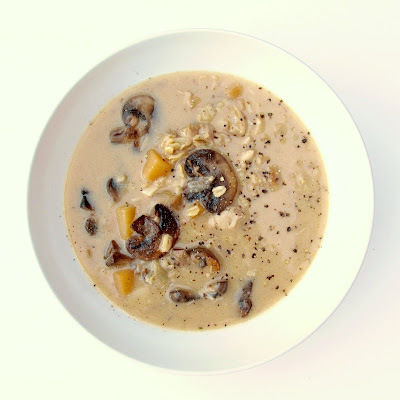 I made this soup last year with a bountiful harvest of honey mushrooms and it popped into my mind now - needed to check back so I can bookmark it. It was awesome!! I just loved it. Thanks! That's so good to hear! Thank you!